Reviewed by theiphoneappreview.com: "It’s not hard to see why the game is so popular once you start playing it. 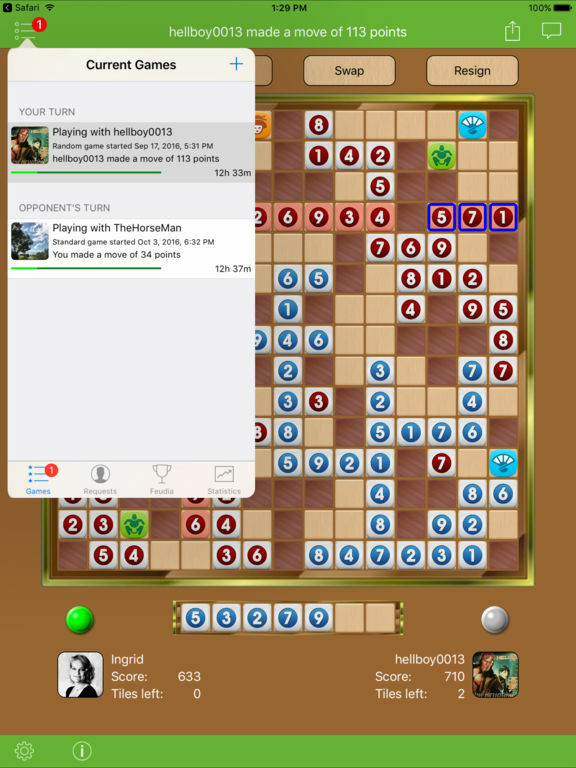 Krudoku is packed with exciting gameplay concepts, but it also has quite a few features that make it even more exciting." Reviewed by iPhoneClub.nl: "This is the nicest online game we have played in the past few months. Krudoku is well thought-out, profound and very addictive. You have to try it !!" 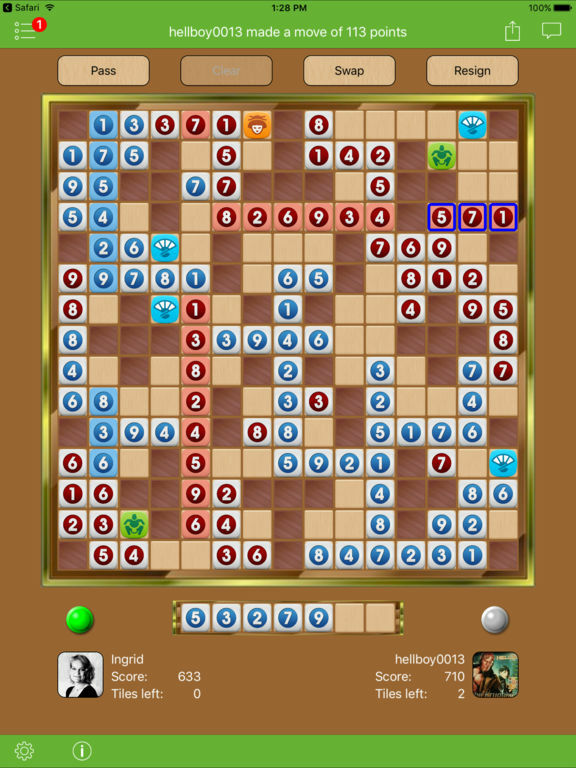 Krudoku is a free multiplayer boardgame which asks for your strategic skills. It combines elements of Sudoku together with bonusfields, forbidden fields, blocking your opponent or creating your own chances of high scores. You can play it with friends or random opponents. The goal is to achieve as many points as you can, by making Krudoku's or capturing bonusfields. A Krudoku means that you have placed all digits 1 to 9 of your own color in a single row or column. Then you get a bonus of 100 points. A digit of your own color may only be placed once in a single row or column.